The great day has arrived to get 3803 back in steam. 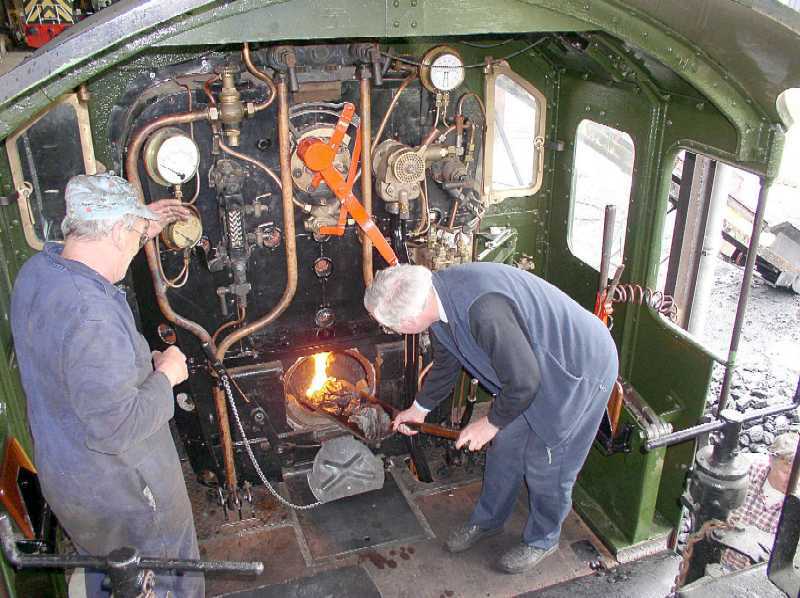 The engine was towed out of the workshop this morning and put in to the lighting up road where a small fire was lit in it at 10.30am Warming through and checking everything continues today ready for the visit of the boiler inspector on Friday.Also some final painting to be done. Running in takes place next week with it booked to run over the Bank Holiday weekend, and if all is well through half term week. 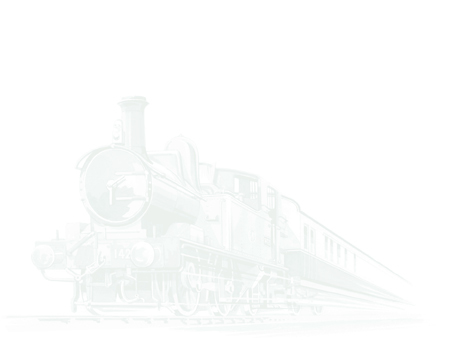 Details of when it is rostered will be able to be found on our website under 'loco roster'. 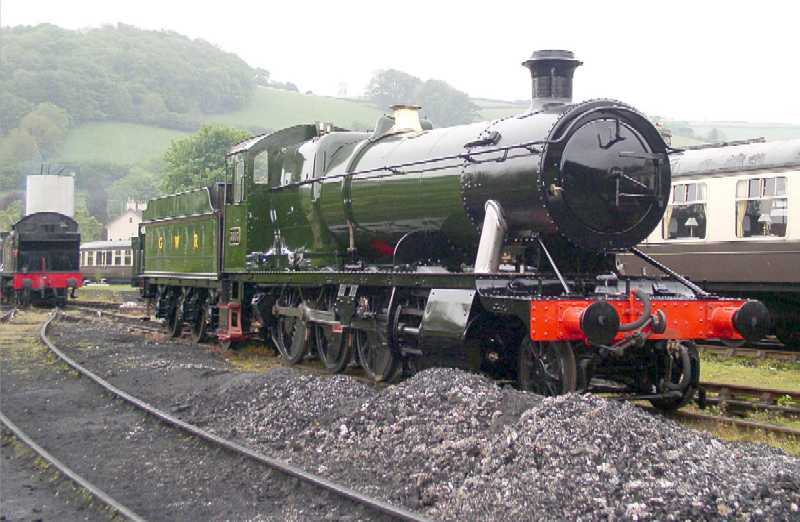 For the record it was built in 1939, withdrawn in 1963 after 24 years in service. It spent the next 20 years at Barry and was purchased by our group in 1983. And now it is back in traffic after another 23 years! Initially some work was carried out at Tyseley but the bulk of the job has been carried out in our workshops over the last two years. The tender was purchased some years ago from the Erlestoke Manor Fund.